There are ways to extract money from your policy with minimal taxation. 1. Can a Life Insurance Policy Be Cashed in Anytime? Although term life insurance is the most cost-effective choice for many buyers, whole life and other permanent policies retain a useful niche in many financial plans. Over the long term they can build substantial cash values that can be used as a flexible financial asset. There are several ways to take money from the policy, and some of them can result in tax liability. 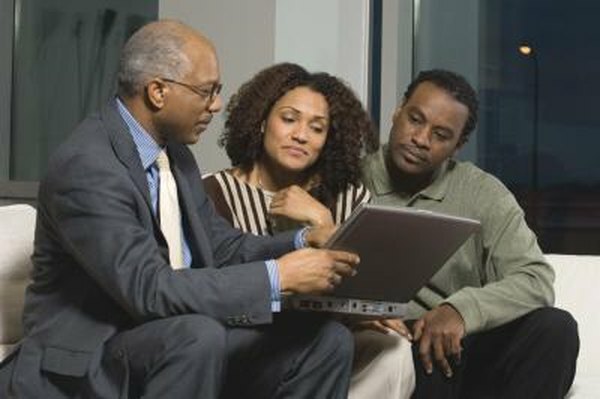 Some whole life policies are referred to as "participating" policies, meaning they earn a share in the insurer's profits. Those dividends can be used in several ways. You can allow them to accumulate as part of the policy's cash values, or you can reinvest them to purchase small quantities of additional, fully paid-for insurance. These "paid-up additions" generate more dividends, which buy more insurance, and so on. Or you can take the dividends in cash. In that instance the Internal Revenue Service considers them to be a partial return of the premiums you've paid for the policy. Because you paid in after-tax dollars, they're not taxable when they're withdrawn. Some whole life policies permit withdrawals of some or all of their cash values, but others don't. The IRS treats withdrawals as a return of premium, and therefore not taxable, as long as they're less than the amount you've paid in premiums. Bear in mind that if you've already taken dividends, those count against your total premiums, or "cost basis." For example, if you've paid $10,000 in premiums and received $2,000 in dividends, you could withdraw up to $8,000 more from your policy before it became taxable. A third option is to take a policy loan. If it's permitted in your insurance policy, you can borrow against the policy without any taxation. This is especially handy if you've already taken withdrawals or premiums and are at risk of triggering taxation. As long as you meet interest payments to your insurer and pay back the loan, it remains tax-free. If you die before the loan is paid back, the amount is deducted from your death benefit. If the policy lapses while your loan is outstanding, it becomes taxable as ordinary income. Surrendering your policy entirely, or canceling it, is a final and drastic means of withdrawing your cash values. Insurers often charge administrative or surrender fees for closing out your policy, and those fees can take a substantial bite from the proceeds. Any remaining portion of your cost-basis is still tax-free, but your gains are treated as ordinary income and are fully taxable in the year you surrender your policy.